The IT University of Copenhagen (ITU) is an independent educational and research institution, dedicated to the digital world. From games and communication to business and software development. The university has a strong research environment including a comprehensive PhD programme and offers a variety of research based study programmes, part time and also single subject studies within the field of IT. ITU is the project manger for the NexGSD project. Copenhagen Business School (CBS) was established in 1917 and became integrated as an institution of higher education in the Danish education system in 1965. CBS is one of the largest business schools in Europe with more than 17,000 students. Offering world-class research-based degree programmes at undergraduate, graduate and PhD levels as well as executive and other post experience programmes, CBS creates and provides original and relevant knowledge through publishing, participation in the public debate, consultancy and their expert database. Developing and sharing knowledge in partnership with other universities, enterprises and organisations, CBS contributes to the development of business and society. NNIT A/S is one of Denmark’s leading consultancies in IT development, implementation and operations. For over a decade, NNIT have applied the latest advances in technology to make software development, business processes and communication significantly more effective. NNIT is owned by Novo Nordisk A/S, and with roots in the pharmaceutical industry supply services that meet the industry’s highest requirements for quality and standardisation. Today, NNIT has about 1700 employees and a turnover in 2011 of DKK 1,800 million. Operating profit before tax in 2011 was DKK 194 million. Established in 1968, Tata Consultancy Services (TCS) has grown to its current position as the largest IT services firm in Asia on the basis of its service record, collaborative partnerships, innovation and corporate responsibility. TCS are the world’s first organization to achieve an enterprise-wide Maturity Level 5 on both CMMI® and P-CMM®, using SCAMPISM, the most rigorous assessment methodology. Additionally, TCS’ Integrated Quality Management System (iQMS) integrates process, people and technology maturity through various established frameworks and practices including IEEE, ISO 9001:2008, CMMI®, P-CMM® , ISO 27001, ISO 20000, ISO 14001, OHSAS 18001 and Six Sigma. TEO (Talented Earth Organization) is a Denmark based company with offices in Pakistan and Malaysia. TEO was founded in 2006 by senior IT business professionals with many years of experience in the software industry. TEO has specialized in managed software outsourcing. The next generation of Global Software Engineering introduces concepts of innovation, growth, high quality and social responsibility into the sourcing strategy of enterprises. Along with our customers, we wish to play an active role in the evolution of globalization of software engineering. HCL Technologies is a global IT services company with headquarters in India. HCL Technologies was founded in 1976 with revenue exceeding 4 billion USD in 2011. HCL Technologies employs more than 80.000 people worldwide servicing their customers within IT application development, IT Infrastructure Management, and Business Process Outsourcing. L&T InfoTech was founded in 1997 by Larsen & Toubro and is now ranked as #8 biggest IT company in India more than 15.000 employees and headquarters in Mumbai. The Company has 39 registered offices in 22 countries. They excel in providing Global IT services and solutions provider within IT service management, IT service, IT consulting and Engineering/Embedded/R&Ds. They are market leaders in providing winning edge to our clients by leveraging Business-to-IT connect and deeply committed people. L&T InfoTech clients include industry leaders like Chevron, Freescale, Hitachi, Sanyo and Lafarge among others. It employs standards of the Software Engineering Institute’s (SEI) Capability Maturity Model (CMM) and is a certified Level 5 organization. KMD is one of Denmark’s largest IT and software companies, with branches in Copenhagen, Århus, Odense and Aalborg. The majority of KMD’s business derives from software development, and the company develops and delivers IT solutions for the local government, central government and private markets. 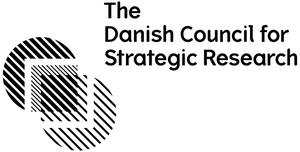 Developing and currently operating more than 400 IT systems that support Denmark’s welfare state and accompany Danes from cradle to grave, KMD’s systems handle billions of kroner, equivalent to more than 25% of Denmark’s GDP. KMD’s annual revenue is more than DKK 4 billion, with over 3,000 employees and they are owned by Advent International and Sampension. Optivation develops advanced optimization and analytics software. It is recognized by the liner shipping industry for leading expertise in optimization algorithms for automated containership stowage planning based on 10 years research at the Decision Optimization Lab,IT University of Copenhagen.